October 31 is supposedly supposed to be a frightening date, especially when it falls on Friday. Go figure. But no need for that. In fact, it’s a happy date, because we are going to continue our Windows to Linux migration saga with a brand new chapter, and this one discusses the delicate topic of mail clients. I have never given a proper overview of this subject before, like ever, so this is a fantastic debut. More specifically, we will discuss a handful of mail client software offerings available on a typical Linux distribution, talk briefly about how to set them up, and finally learn about the little tweaks and tricks needed to get everything working smoothly. We shall use Linux Mint as the test bed. Now, I did promise we would be trying different distros for different parts of our migration journey, but just to be random and unpredictable, I went for Mint once again. No beef. Follow me. So the reality you come from probably resonates thusly. If you do happen to be using a mail client and not just Web mail, then you are probably consuming some form of Outlook or maybe Thunderbird, if you’re progressive. There are many other solutions and options, but they are usually less popular. Migrating to Linux means two things. One, leaving behind a familiar program slash interface, to a degree. Two, learning a new way of working with mail clients, and possibly a plethora of fresh new experiences with software you have never used before. This may sound more daunting than it really is. The reality is not very grim. You have had your share of baptism by fire in the first four installments of our migration series. So you know your way around. You are familiar with different distributions and their desktop environments, different ways of managing software, plus we did some installations and debugging from the command line. All combined, the mail software is just another facet, an extension of all the exercises we have done before. If you need to install something, just use APT, YUM or Zypper. Or maybe power up the front ends. Cinnamon, Unity, KDE, we know them all. Good. Moreover, you do have access to Microsoft tools from inside Linux. You can actually use Microsoft Office Online on Linux, which gives you native capabilities with your tools and software. This means that if you must continue writing and sending emails using Outlook, you have that option, without compromising. That’s a great thing. Let’s start exploring. 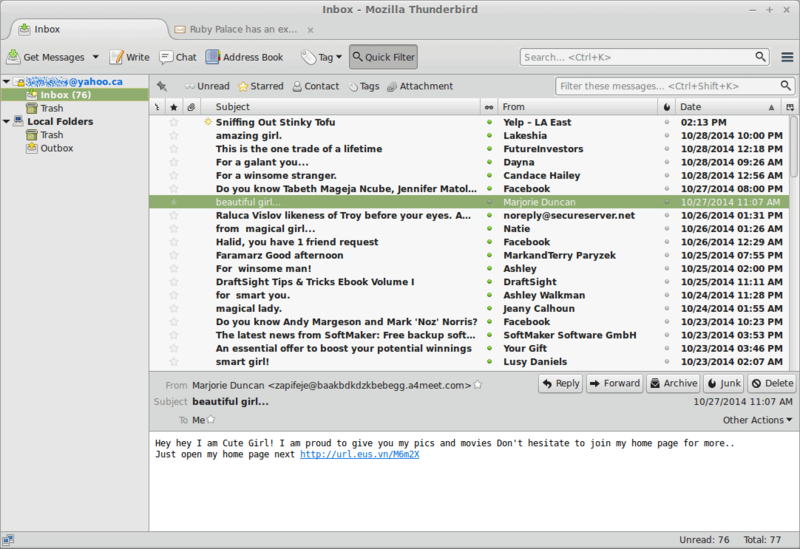 Linux Mint ships with Thunderbird as its default email client, a second half of the Mozilla combo, which also includes Firefox. Thunderbird is a fairly convenient and useful mail software, and there’s a good chance you have encountered and used it before, on Windows. If so, the migration is trivial. Just copy your user profile, and Bob’s your uncle. We will do that in a moment. But assuming you are starting with a clean slate, then fire up the program and setup your account. 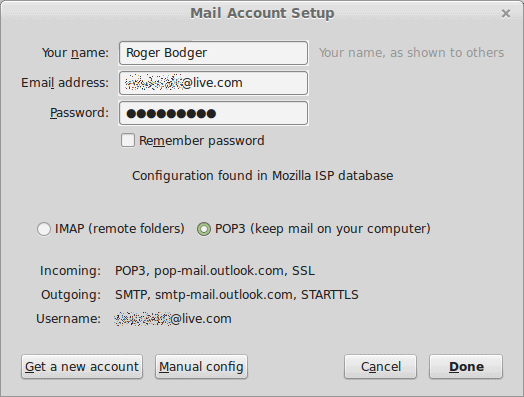 Once you write down your mail, Thunderbird will contact the Mozilla online database and try to guess the POP or IMAP settings for your particular email provider. This is a neat feature that can save time to clueless users. But you can also always manually configure the client, using your own port numbers and encryption and whatnot. This goes beyond any specific Linux knowledge. It’s mail client setup, and it’s universal for all operating systems. How did it go? Well, I had no problem setting up either .live or .yahoo domain email, although with POP accounts, Thunderbird ignored the different directories, like Spam, and dumped everything into the Inbox. I did struggle a little setting up Microsoft accounts, I must admit. Thunderbird is a very decent and fast client. It’s quite secure, easily configurable, and much like Firefox, it has extensions, which let you alter its default behavior. You can hide the preview pane and disable HTML and embedded images, so you can have a pretty decent level of security slash privacy. And if you do that before you fire up Thunderbird the first time, then your mail client with start up with its Windows profile, and everything should work out of the box. The only problem you might encounter is if you are using Windows-specific extensions and themes that do not work in Linux. But the account, the connectivity and all the synced mail contents should be there. What other software is there? We talked about Thunderbird, but maybe you want something else. 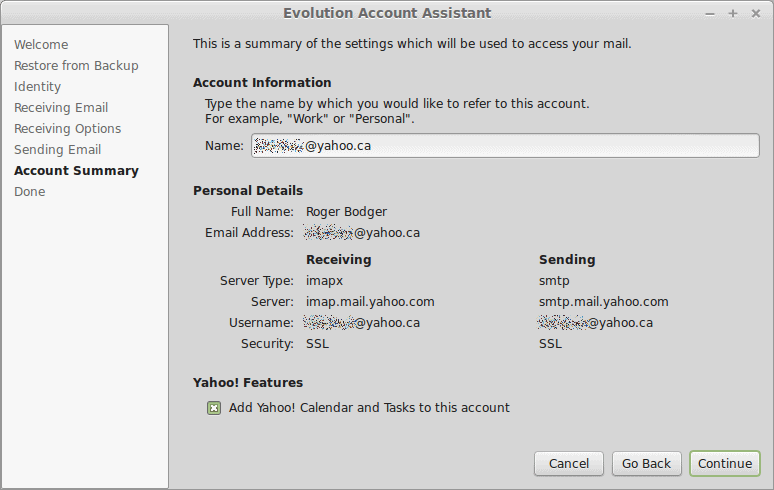 Well, Evolution is the classic mail client that caters to the classic user, especially if they happen to be using the Gnome desktop interface, and it is designed to be as close as possible to Outlook, to help lure potential business customers. Evolution has all the features you expect, like Spam filters, RSS reader, encryption, connectivity to Exchange, calendar integration, and more. It’s the default client in openSUSE, for instance. Another candidate is KMail, a pure KDE application. Since KDE always makes things a little difficult, while KMail is a standalone program, it is also tightly integrated with the rest of the KDE Kontact suite, which includes email, address book, calendar, news feed aggregator, and personal organizer components. This could derail you a little, but do not despair. You will find this program offered in most KDE-based distributions, although some might offer different clients. Less known, less popular choices include Sylpheed and Claws Mail. 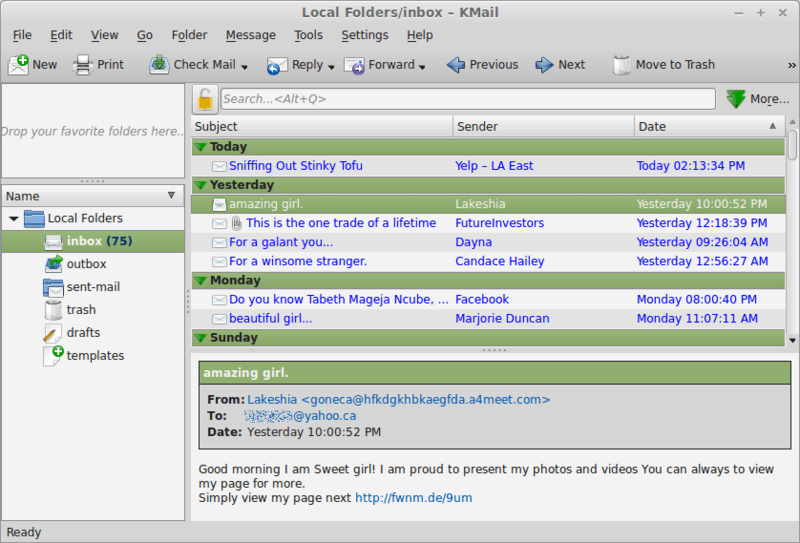 The former is a lightweight mail client and news reader, developed originally for Lubuntu. It is less fully featured than either Thunderbird, Evolution or KMail, but it has its simplicity as the chief merit, especially since most people do not need fancy enterprise suites for their work. One notable disadvantage is that encryption may not be completely seamless. 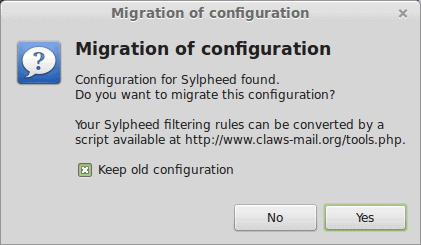 The latter is an extension of the Sylpheed client, and the two can actually share mailboxes. 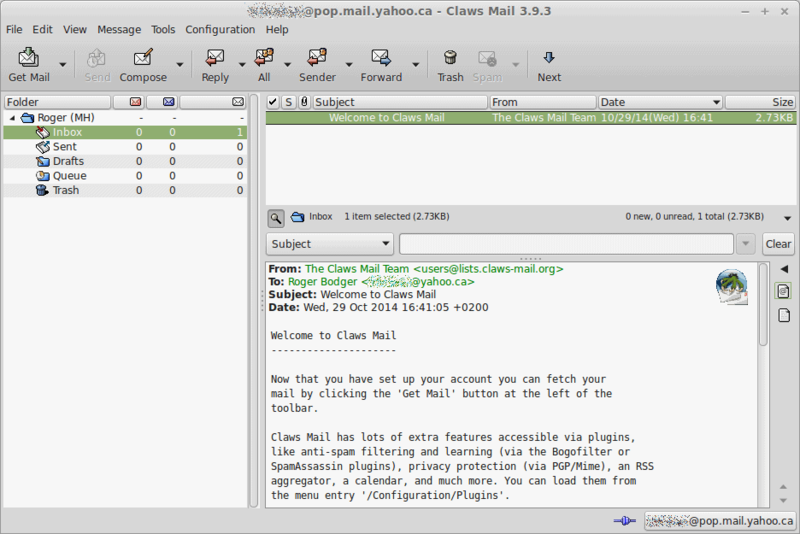 Still, despite similarities, Claws Mail is a program of its own, with decent security and anti-phishing, filters, templates, themes, and plugins. And we shall see how well it fares for the ordinary user. There are other programs, too, but we cannot possibly cover them all. The existing offering is already rich enough, besides this leaves a plenty of opportunity for you to express your opinions in the comment section. Again, it may all appear a little intimidating, but it’s no different than hunting for the favorite office suite or media player, as we have done before. Setting up Evolution was relatively painless. First, the installation from the Software Center, because it is not a part of the default application set in Linux Mint. 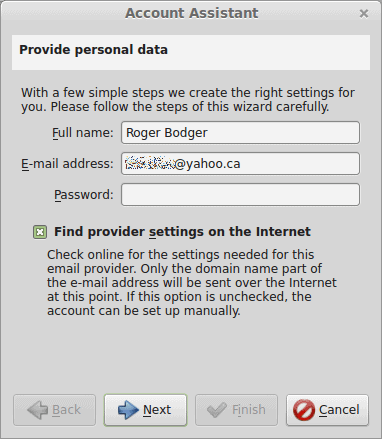 Then, configuring the right mail servers, ports, user name and password. 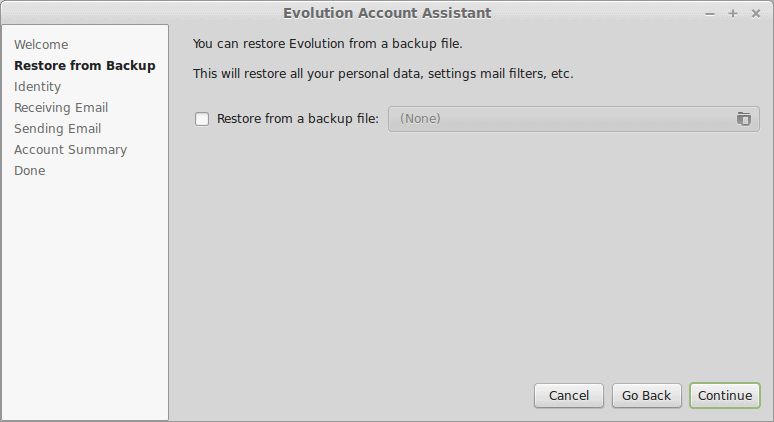 Actually, the program lets you restore an existing account from a backup file. Or you can create a new one. No problem working with popular domains. After that, you can a classic inbox. 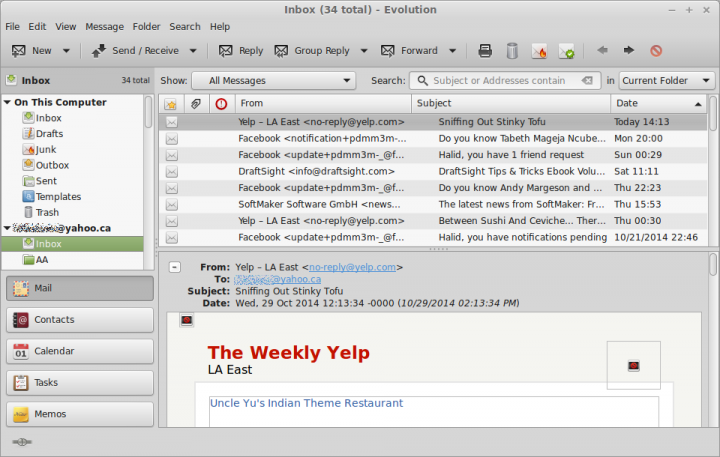 Much like Thunderbird, you can customize views, preview, embedded images and HTML, and other settings. Decent and familiar. KMail was different. It did detect existing mail software and asked whether it could import settings. Very neat. Both Thunderbird and Evolution were offered. 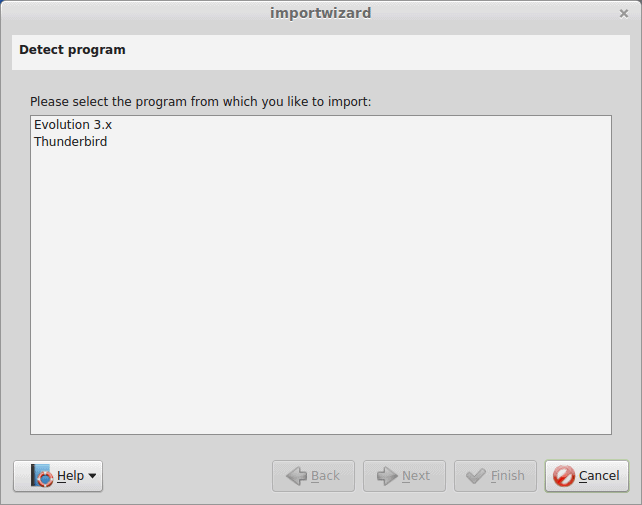 Unfortunately, the import wizard did not succeed, and it just stalled, so I was forced to create fresh new account. At least this part worked fine, although the program did not correctly auto-guess the mail server settings, and I had to use my own. The presentation layer is slightly different from what you expect, but it’s usable. I did not have much luck with either one of these two programs. After configuring the IMAP and POP accounts, the authentication simply did not work, and I ended up with empty, forlorn, forever alone inboxes. It is quite possible to fix and troubleshoot this, but it is something that goes beyond the Windows to Linux migration, and that is why we leave the tasks aside for now. It is also a good indicator about where you should vector your energy and focus in the Linux mail client quest. After all, three potential candidates are more than enough. All right, so what did we learn here today? First, we have mastered yet another topic, and it’s an important piece of the desktop use for many people. Moving to Linux may very well make it or break it on this particular subject. Then, we compared the differences between Windows and Linux, briefly discussed online tools, and then elaborated on five possible mail client candidates for an enterpreneuring Windows convert. 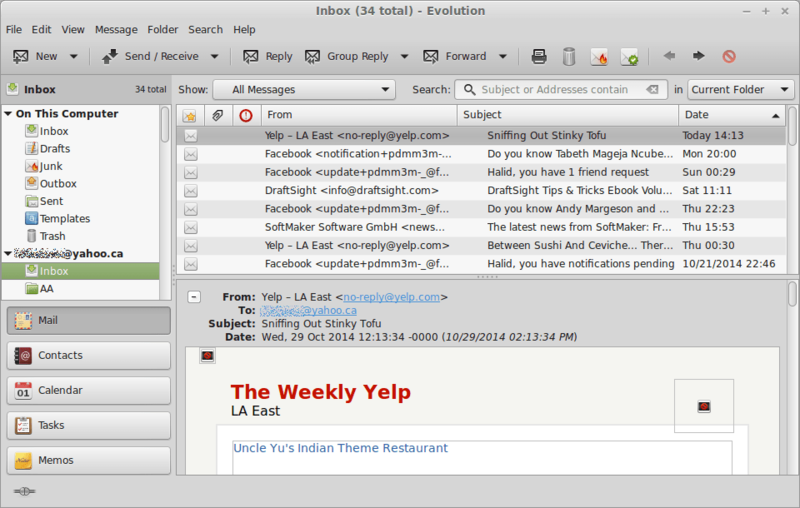 As it turns out, Thunderbird is probably the most flexible choice for home users, Evolution has an extra enterprise appeal and the classic flavor, KMail is a little weird and buggy but quite sturdy. Unfortunately, neither Sylpheed nor Claws Mail managed to prove themselves. Which means that if you’re a beginner, and just making your baby steps in the Linux world, you might want to focus on Linux Office Online and Thunderbird. As for the rest, you’re no longer a stranger to the ways of Linux, therefore package management, basic troubleshooting and the look & feel of various desktop environments are all your home turf now. Fresh, green and lush. That would be all. Oh yes, suggestions for the sixth part. Please, bring them on. Unfortunately this is just the latest in a series of subpar Dedoimedo articles. How can you not even mention Geary, the email client that probably made the headlines recently more often than the others. I am very sorry Dedoimedo, but I am seriously beginning to question weather I want to continue checking your blog on a regular basis. After youtube videos instead of articles, an increasing percentage of car related articles instead of linux related articles, waste articles like on 2014-09-17, and questionable affirmations in your 2014-10-29 article I feel you are losing focus. Mind you, there still are some great articles but I miss articles like my favorite one, the 2013-03-04 article about the Collatz conjecture, and I don’t enjoy this dilution of content. Then again, it is your own blog and you can do whatever you like with it. Claws mail or Sylpheed (a bit simpler, but very similar) work fine for me. very lightweight and very fast. Work nicely with thousands of old gmail emails backed up on external hardrive from old netbook. Can these be used with the microsoft exchange server? I tried Evolution in that capacity … it worked fine. Why you didn’t use IMAP instead of POP in Thunderbird. I use IMAP and I never had any problems. KMail is unusable because of the Akonadi/Nepomuk “integration” which still does not work despite years of development. A simple Google search would have given you dozens of bug reports and discussions. My impression is that many users Kmail (including me) have just given up at some point. It’s really sad — the perfect example of developers destroying perfectly functional software for features that users did not ask for (a.k.a. “the semantic desktop”)!